There is never a more exciting day than cover reveal day, and boy oh boy, have we been sitting on pins and needles waiting to debut the all-new Brides of Austin Spring/Summer 2019 cover! Introducing the pretty new cover, captured by the oh-so-talented Kristin La Voi Photography! 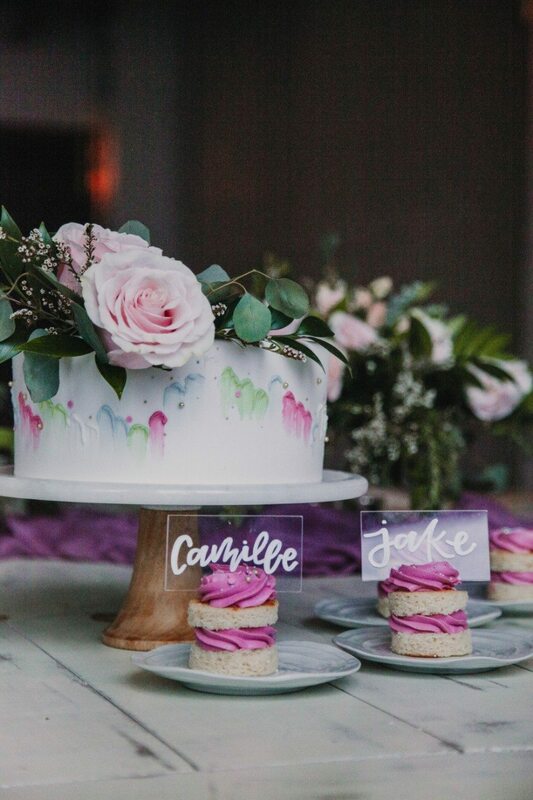 This colorful image from our Modwest fashion editorial at Camp Lucy instantly made our hearts sing, and the the model bride’s look couldn’t be more on trend. Making a statement in Reem Acra’s Blossom gown from Julian Gold, this chic look was completed with dazzling jewelry from Eliza Page and a sleek modern ponytail paired with a bold lip from Beautymark Agency. 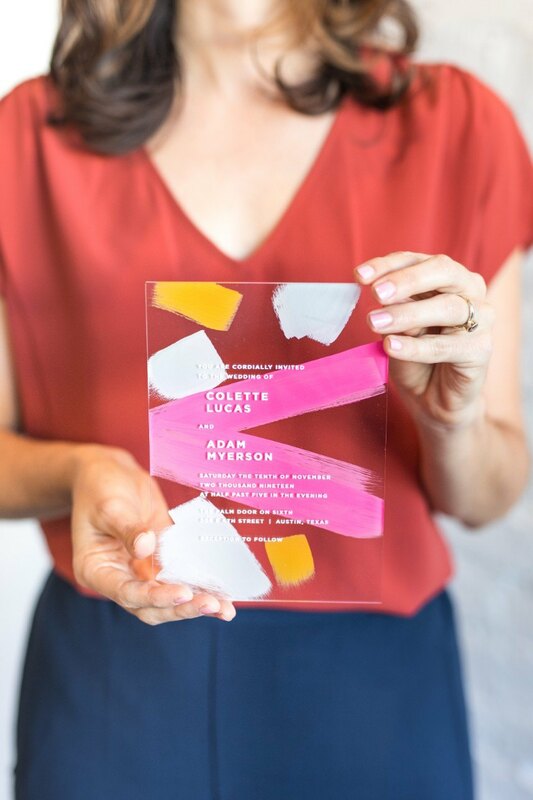 A stunning floral installation from Wildly Cultivated Floral Design frames our lovely bride in ombré colored florals in oranges, pinks and corals. 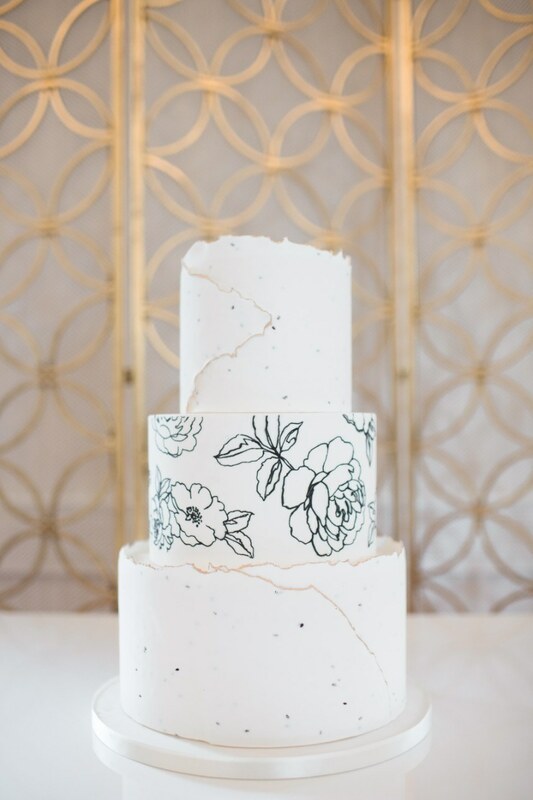 We’re obsessed! 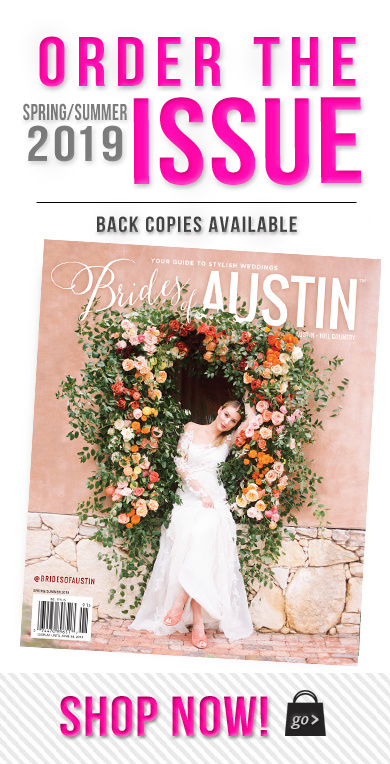 Congrats to Kristin for snagging her first Brides of Austin cover! Stay tuned tomorrow when we’ll be sharing the full editorial! As our countdown to the cover comes to a close, make plans to pick up a copy of the new issue on newsstands now or be one of the first to get your hands on the new issue by ordering online today and take advantage of free shipping on your purchase of two or more mags for a limited time. Cheers! 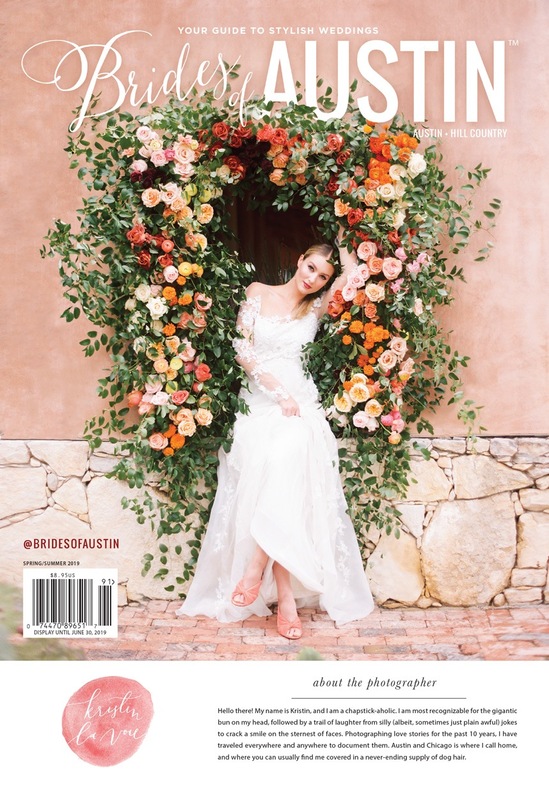 For the final installment of our countdown to the Brides of Austin cover, we’re elated to share a sneak peek from our Spring/Summer 2019 fashion editorial! 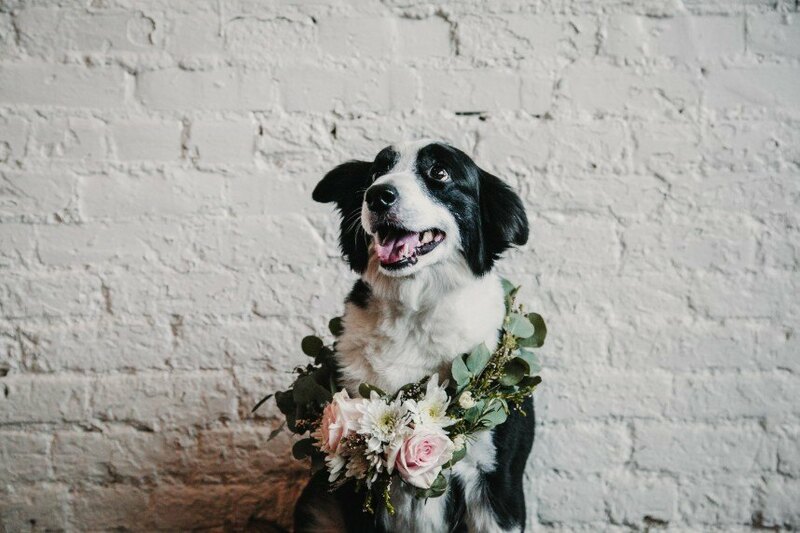 Captured by Kristin La Voie Photography at Camp Lucy, this incredible Modwest inspiration features jaw-dropping gowns like the uniquely chic off-the-shoulder Moonlight and Moss gown, plus more amazing fashion-forward dresses (and even a pant suit!) from Unbridaled, Julian Gold, Blush Bridal Lounge and Beatitude Bridal Boutique. 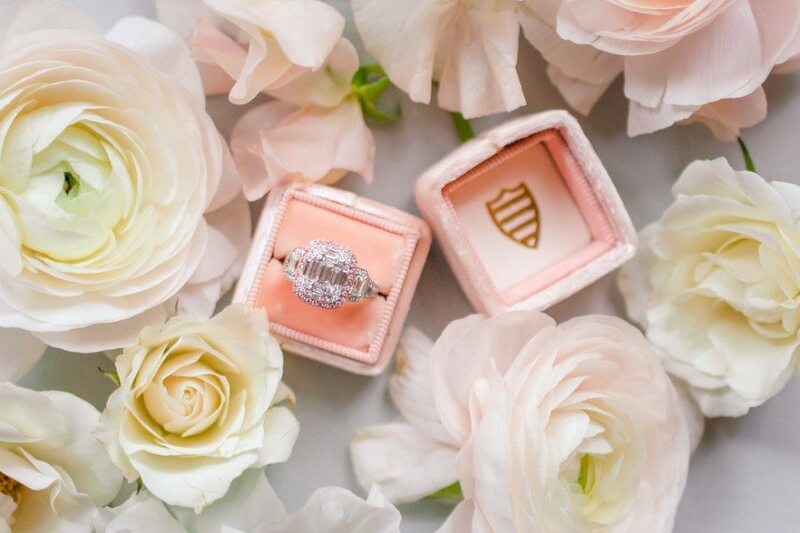 The shoot showcases, not only pretty gowns, but gorgeous blooms from Wildly Cultivated Floral Design, Insta-worthy beauty looks by Beautymark Agency and exquisite fine jewelry from Eliza Page. 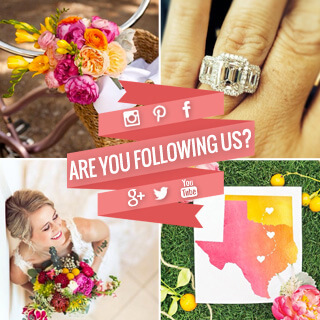 You’ll be smitten as you flip through page after page of stunning bridal looks! Stay tuned for tomorrow’s big reveal! 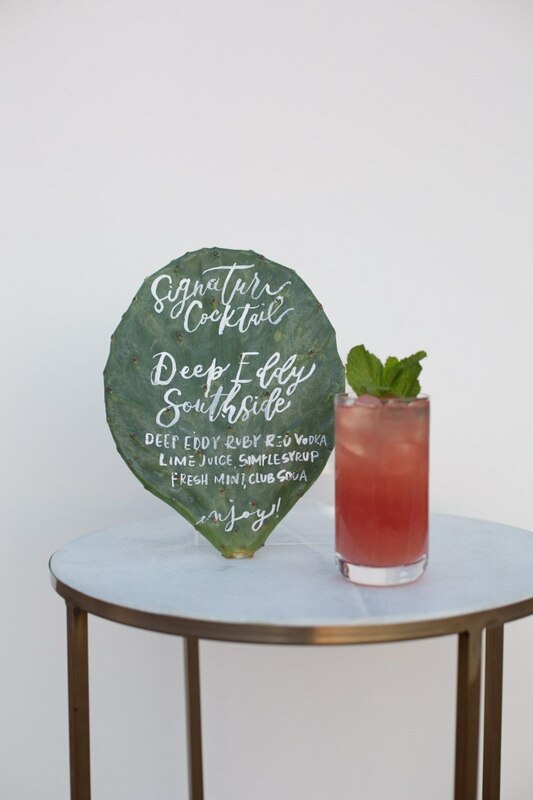 Love all these beautiful sneak peeks of the new Spring/Summer 2019 issue? Get this beauty in your hands, by pre-ordering here! And in honor of the countdown to the cover, we’re offering free shipping on any orders of two or more copies. Cheers! We are so close to the big reveal and can barely contain our excitement! 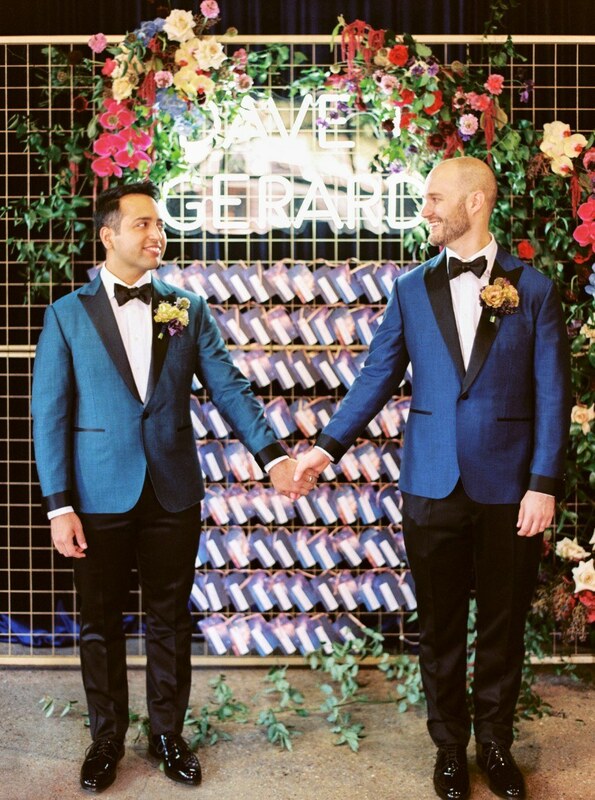 Today we are continuing our countdown to the cover by sharing two cute couples whose weddings you’ll find in the pages of the Spring/Summer 2019 issue! 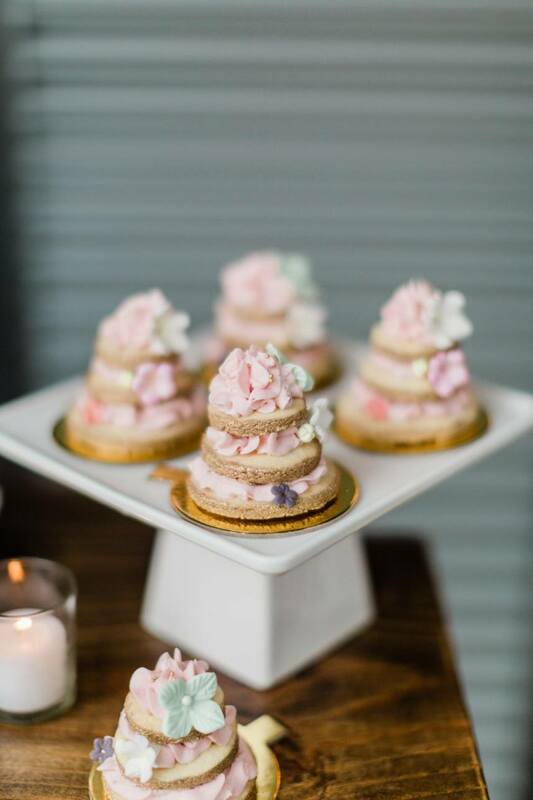 Alyssa and Ryan along with Gerard and Dave have two of many incredible wedding features with plenty of inspiration and ideas for your own celebration! 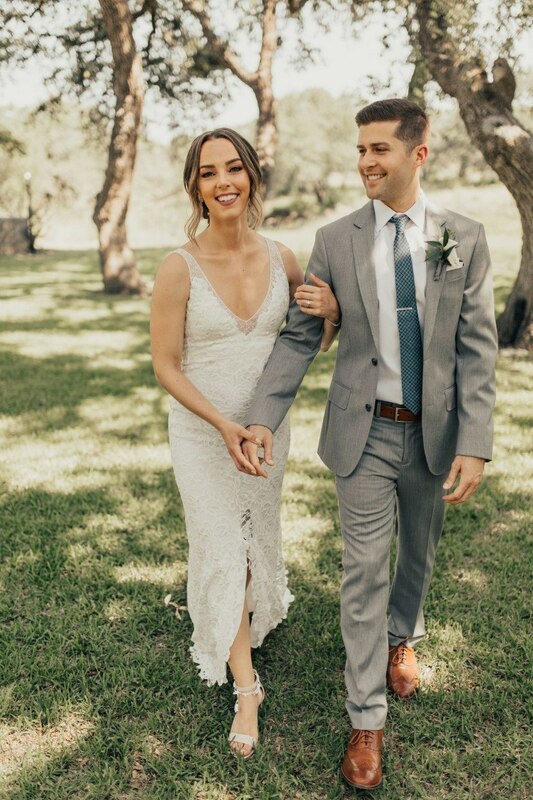 We’re so excited for you to flip through the new Brides of Austin mag and read all about each of these oh-so-sweet couples. 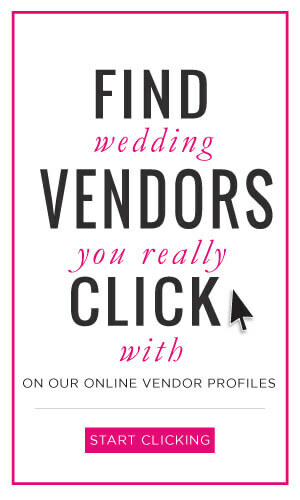 Plus, you’ll be able to see the amazing work of the vendor teams who made these beautiful weddings happen. In the meantime, enjoy this sneak peek! Don’t forget to pre-order your copy of the Spring/Summer 2019 mag, here! And in honor of our countdown to the cover, we’re offering free shipping on any order of two or more mags. Happy Monday!